Have you noticed leaks or excessively wet areas when the system is not running. Sprinkler heads broken, missing, or not spraying correctly. Controller, rain sensor, or timer working incorrectly. Plant, tree, or turf health problems such as brown patches on lawn, excessive amount of leaves missing from sections of trees, chronic pest or disease problems on flowers, grasses, and foliage. Your irrigation system has no maintenance history. Contact a licensed irrigation contractor if your lawn sprinkler system or landscape fits any of the above criteria. A licensed irrigator will inspect all aspects of your system including the irrigation controller, piping, spray heads, valves, emitters, battery, wiring, rain sensor, spray patterns, zoning, and current irrigation schedule. They will check to make sure all features of your system are working correctly and will adjust your irrigation schedule so it is appropriately set for the watering needs of the time of year. If you do not already have a regular maintenance schedule for your lawn sprinkler system, an irrigation specialist can provide you with one. Pricing for irrigation system repairs or maintenance will vary by the type of repair needed along with size and complexity of the system. 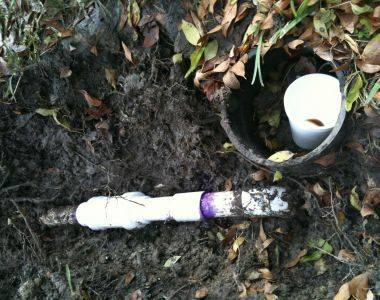 Browse newspapers, magazines, and YardHookup.com to compare pricing for irrigation repairs and maintenance. Request and verify all references, licenses, and insurance for potential irrigation contractors. Ask any potential contractors for repair estimates prior to having any work started. Only licensed irrigation contractors are allowed to provide irrigation services in the State of Texas. Visit the Texas Commission on Environmental Quality for more information. Ensure you and your irrigation contractor comprehend all aspects of any signed service contracts.